"All of us need to have a spiritual dimension in our lives. The really good news is that spiritual practice can be done at any time of the day." How often are you behind the eight ball? How often do you feel there is never enough time? No matter how hard you try, you always feel you are playing catch-up. Most people have their schedules stored in different places: in their phones, computers and organizers. Yet, they are often completely unaware of what is happening around them. How often do you miss a deadline or forget an opportunity that came and went? Do you perpetually feel stressed and busy as your mind races to the next thing? Peace Is Every Breath by Thich Nhat Hanh is a quick, easy read about developing a daily practice of mindfulness meditation. 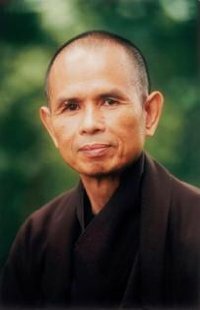 Hanh, a Vietnamese monk, who lives in France, is one of the most influential Buddhist leaders in the West, arguably second only to the Dalai Lama. The ideas are simple. Yet, most people will not stop to be mindful and meditate, echoing the proverbial, “I don’t have any time”. Sadly, people have forgotten how to breathe properly in their anxious, stressed out, and rushed lives, running towards success. 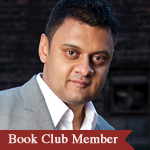 The book is about developing a mindfulness daily practice for the type of person that says they are too busy. Hanh believes you can be happier, healthier and become self-aware if you turn daily activities into mindful moments and are fully present. "You cannot say, ‘I’m just too busy, I have no time for meditation.’ No. Walking from one building to another, walking from the parking lot to your office, you can always enjoy walking mindfully, and enjoy every one of your steps. Each step you take in mindfulness can help you release the tension in your body, release the tension in your feelings and bring about healing, joy, and transformation." The notion of developing a spiritual practice in silence for many hours daily is a myth. While a select few may do this, it is not the norm. Thich Nhat Hanh believes that cultivating the energy of mindfulness and concentration can happen anywhere, anytime, no matter what you are doing. Mindfulness, he says, brings you back in touch with what’s happening in the present moment in your body, in your feelings, in your thinking and in your environment. To be fully present in yourself and what is around you, allows you to concentrate on a single activity. The breath—breathing in and out mindfully—is the way to experience the here and now. In a single breath, you release the past, release the future and release your stress, fear, anger and pain. You become aware of your tension and pain while breathing in and release them from your body when breathing out. "In the here, in the now is the address of life. It’s the place you come back to – your true home. Each step brings you back to life." Walking meditation is the practice of walking slowly and freely without worry or anxiety. You walk to enjoy and be in the present moment. You do not walk with your destination in your mind. Walking mindfully is about stopping the running and hurry, and taking a step to walk freely. As you practice slow walking meditation, breath in, take a step and say, “I have arrived.” Hanh believes that walking generates the energy of solidity and freedom. It puts you in touch with the wonders of life. It nourishes and heals you, free from the past and the future without being in a rush like someone possessed. The act of fully investing 100 percent of your body and mind in your breathing and step allows you to say, “I am home”. If your mind continues to wander, then stop and breathe until 100 percent of your body is back in the present moment. Then walk mindfully again. "Breathing in, I see myself as space. Breathing out, I feel free." You may believe that power, wealth or recognition in your field will make you happy, yet so many who attain these are miserable. The author believes that freedom and space is what is missing in our lives. If your mind is full of fear, worry and doubt, then you have no room for living and loving. The art of letting go, much like clearing the clutter in your house, allows you to move freely towards important things that make you happy. When you hang onto unnecessary stuff in your home, there is no space left to move around without bumping into things. Hanh believes the greatest gift you can offer to others you care about is a sense of spaciousness—space around and space inside you. You must make time for you and for the people you care most about. When you take time for others, you are in a stronger position to make them happy and relieve their suffering. This comes back to you. How often do you repeatedly answer phone calls and text messages while with someone you care about? How often do you focus on the person in front of you and really listen to them? By taking an inventory of your life, you can let go of things you have been hanging onto for no reason. Your new found freedom and space is now available to give you and your loved ones the joy and happiness everyone deserves. When I decided to take the mindfulness meditation course, I was a little skeptical that the breath was enough to make a difference. I am glad I remained open to the process. I was good to myself and decided I wanted to take baby steps, progressing at my own pace. I was surprised to learn that mindfulness meditation is not about chanting for hours early in the morning. It is about concentrating for seconds and minutes creating moment during a single activity. Noticing the wonders of life and being thankful became easier. I realized I did not need or want so much stuff—like watching lots of television or unplugging the headphone and the music while walking outdoors. I learned to mindfully brush my teeth, take a shower, cook and eat a meal and take a walk, often looking at the good in strangers. My mind still races with thoughts. I still feel overwhelmed. But now, as my instructor says, I have a toolbox available to address almost any stressful situation. The goal is not to have everything figured out but to get better day by day. The best part is that we all have the rest of our lives to improve, moment by moment. Moving forward, reciting a few verses or gathas from the book might help you get started towards practicing your own mindfulness meditation. Three gathas are below. Why not start your mindfulness practice today by reciting and doing one of the gathas and activities above?